The fourth most prevalent mineral in our body is one we tend to overlook. That's a shame; this powerhouse is essential to over 300 processes in our bodies. Our digestion, teeth, bones, hormones, nervous system, and cardiovascular health all depend on it. Our brains and our hearts both require plenty. This little miracle worker is magnesium, the fourth most abundant mineral in your body. 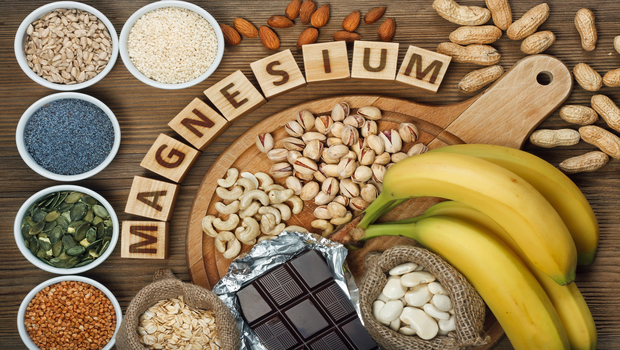 More and more research is now being conducted that help us give magnesium its due. One such study investigated how magnesium supplementation affected plasma C-reactive protein (CRP) (a biomarker measuring inflammation) concentrations. CRP is not only a marker of inflammation, it's also used to help evaluate people's risk of developing coronary artery disease. Higher levels of CRP are associated with more inflammation and a greater risk of heart disease. The review study identified 11 other studies in which magnesium supplements were evaluated in conjunction with plasma CRP levels. They found that when inflammation was already present, magnesium supplementation helped lower CRP concentrations. This suggests that if you're already suffering from low-grade chronic systemic inflammation, magnesium can be a great way to help you get it under control and reduce your heart disease risk. There are a variety of forms of magnesium supplements available to you. I've written before about how to choose the best one for your specific needs. If you're concerned about your heart health and preventing coronary artery disease, magnesium taurate is the way to go. It helps prevent arrhythmias and protect the heart from the damage caused by heart attacks. It's easily absorbed, and unlike other forms of the mineral it is not likely to have a laxative effect. If this is too hard to find, consider magnesium glycinate. And if you're not wanting to take another capsule or tablet, consider topical magnesium oil (http://www.ancient-minerals.com/transdermal-magnesium/).